This piece was inspired from a night camping in the mountains. The moon lit the peak with a soft light, and the stars shimmered in the night sky. I could never get to sleep, the sight was so lovely. I knew I would never forget it. This piece is constructed with hand dyed silk with a silver warp thread. It is hand painted on the silk. 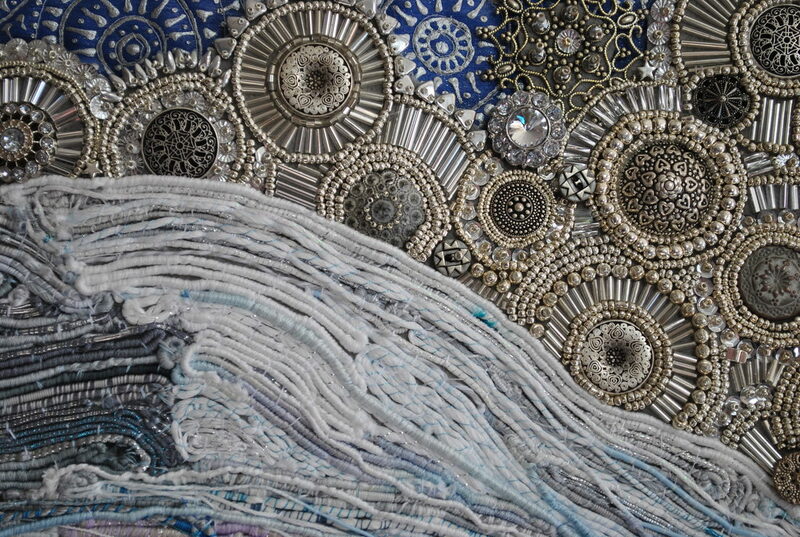 It is hand beaded and embellished. 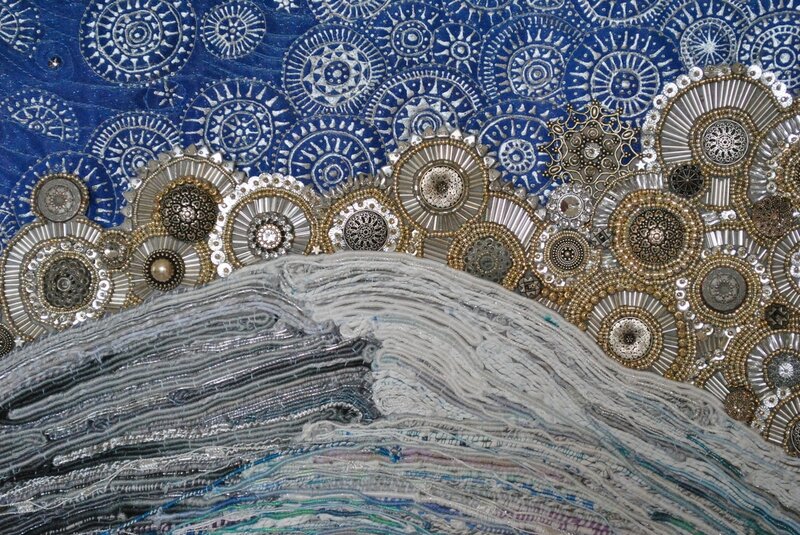 The mountain is constructed from hundreds of hand wrapped and coiled threads of silk, cotton, rayon, and metallic.